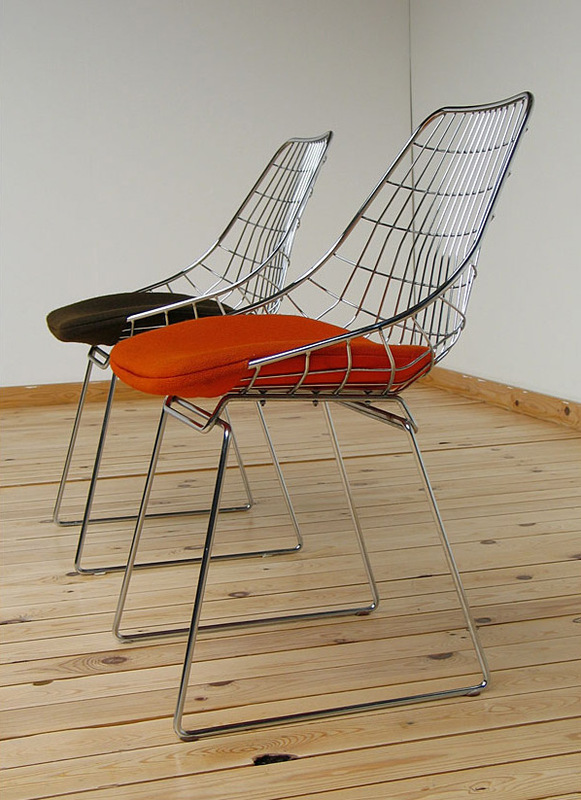 2 chrome SM05 side chairs with chrome steel-wire welded shell, and chrome steel rod leg frame. Finished with a removal foam seating in a orange and brown upholstery. 2 chaises en chrome SM05 en fil d'acier tresses et piétement en forme carré. Finition avec siège d'ameublement en couleur orange et brun.